Rent abatement can be an attractive lease incentive for anyone who wants to rent commercial real estate. Rent abatement allows a tenant to pay a portion of rent, or none at all, until the landlord completes work (often repairs) on the property. A tenant will find rent abatement terms outlined in their property lease, and they can reduce or entirely eliminate rent expenses if the property is no longer usable. Rent abatement can offer benefits to both landlord and tenant. For tenants, it provides that you may be able to avoid legal issues down the line if the property incurs damages that make it unsafe, unusable or less than ideal for your business. For landlords, rent abatement can make for a more attractive lease option, making your property more competitive in the marketplace. In addition, the landlord’s insurance sometimes covers the expenses or losses associated with rent abatement. The real estate market may determine how difficult it is to find lease agreements with a rent abatement provision, not to mention landlords who are willing to negotiate. When properties are scarce, tenants may experience less leverage during negotiations, and landlords may have less incentive to offer them. Conversely, when properties are abundant, a landlord may be more willing to work with the tenant on a rent abatement provision that meets their needs. A tenant may seek rent abatement under a variety of circumstances, but knowing when and how you should seek rent abatement can be a bit complicated. So let’s examine this lease provision and how and when you should seek it out. Rent abatement should be top of mind early in your commercial real estate leasing process as that’s when you have the most leverage for negotiating terms of your lease. If rent abatement is not specified as part of the rental agreement, a tenant and landlord could find themselves in a messy legal battle later on. If you did not negotiate rent abatement terms from the start, you may want to address the issue when you renew your lease. There are no real standards for rent abatement terms, so take this time to negotiate. Often, however, the rent abatement can be extended the longer the lease. For example, if you sign a one-year lease, you may be allowed a month of rent abatement, while a five-year lease may allow for five months of rent abatement. Leases differ, and you and your landlord can settle on terms that work for both of you. Overall, a rent abatement provision can put the lease agreement on hold for both parties when the property is compromised in some way. When a property is damaged or otherwise unusable, rent abatement ensures the tenant does not bear an extreme financial burden of continuing to pay full rent on their existing leased property while having to rent another to keep operating. Damage that is covered by rent abatement provisions is typically anything that is out of the tenant’s control, such as natural disasters like floods, weather events or earthquakes, forced evacuations or a fire. It is possible for complications to arise in relation to a rent abatement provision. If the landlord has included language specifying the agreement is null if a tenant’s staff member causes the damage, a tenant could find themselves liable for the damage as well as responsible for continued rent payments when the property is damaged. Rent abatement is an important provision for lease signers to negotiate, and a key consideration when comparing lease options. 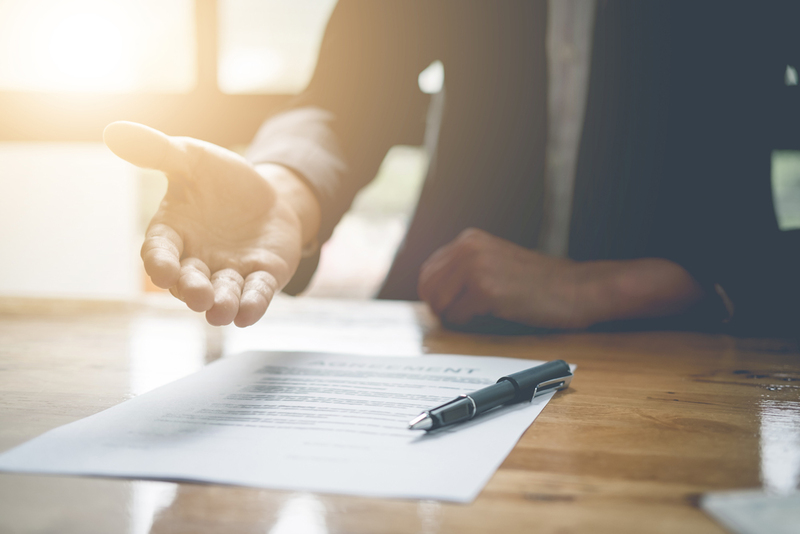 Keep this information in mind as you approach the negotiating table, and you’ll have a head start on securing an agreement that will protect your business interests.